The multiple award-winning Gas Fest is a unique ‘for industry, by industry’ platform that takes place at a time when the world is transitioning towards a carbon neutral future. 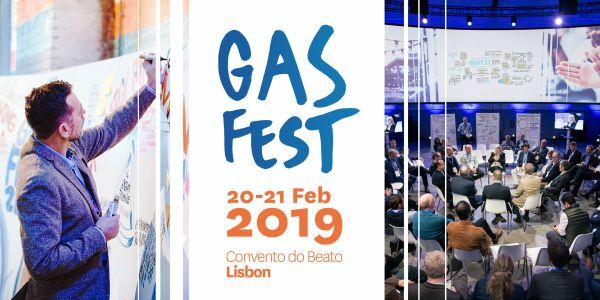 Gas Fest 2019 will focus on the role of gas in decarbonising shipping. In April 2018, the International Maritime Organization (IMO) member states adopted an initial climate change strategy, under which international shipping must reduce its greenhouse gas emissions by at least 50% by 2050. It is within this context that Gas Fest 2019 sets out to explore the role of gas in decarbonising shipping, and identify concrete solutions and actions for how to get there. A lot has been achieved, but there is still potential for shaping a better future by utilising the commercial and environmental benefits that gas offers. Explore the driving forces and conditions influencing the future marine fuel mix, including the impact of wider societal and economic drivers. Provide a deepened and nuanced view on the role of different gases in the marine fuel mix towards 2050. Identify concrete responses and strategies for stakeholders to cut through complexity, develop and then utilise commercially viable gas fuel solutions. The Gas Fest is not another gas conference. It uniquely designed to engage high-level leaders and influencers, across the Gas as Marine Fuel industry, in framing the gas agenda. Through a carefully facilitated collaborative process, participants will explore opportunities and challenges, identify solutions and shape the way forward on utilising the benefits of gas. Develop a shared roadmap for stakeholders across the marine fuel system, including ship owners, legislators, financiers, to accelerate the implementation of sustainable ‘gas as marine fuel’ solutions, globally.